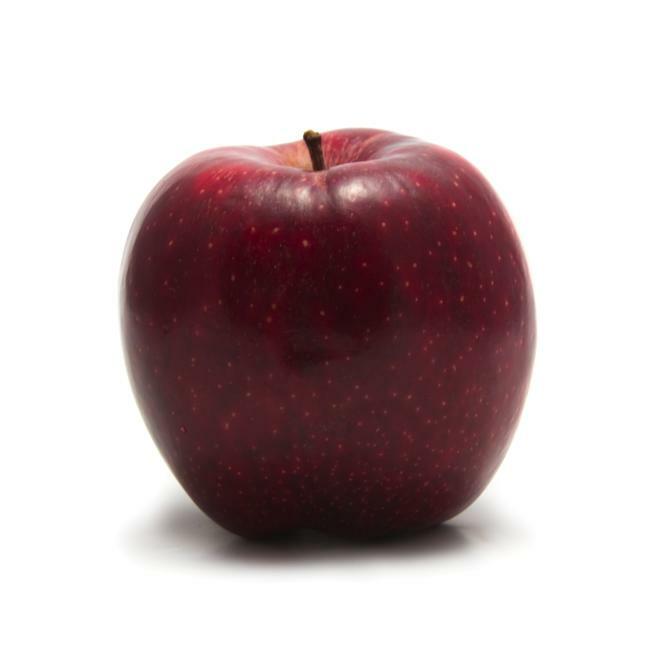 I remember my first Apple. Well…it wasn’t mine per say, but it did grace the dusty back table of my fourth grade classroom and I lived for those scant 15 minutes a day spent creeping my way down the Oregon Trail. I ruled that trail! But that was it. That is the single Apple related memory of my childhood. And even beyond. If we are being completely honest the idea of Apple as a brand didn’t even cross my mind again until the first iPod ads started working their way in front of my eyes. Can I admit that they worked? 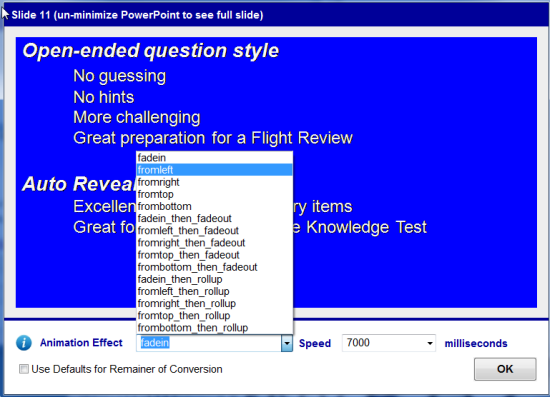 Here is a short video that shows a preview of our new Study Mode Quiz plug-in for Weblearning LMS – just released as I write this. 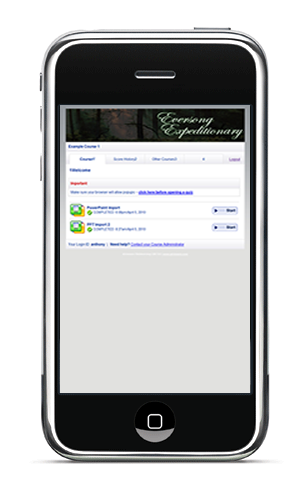 As always, our LMS learning modules are designed to work on mobile devices (meaning, they do not use Flash). In this case, if you are one of our Test Pro Developer customers, the study mode quiz should seem familiar – since Test Pro Developer has had the ‘Practice Mode’ tests for quite some time – and we have used those as our model for this plugin. So, if you are looking to move your users from Windows Desktop Software learning to Online Learning, and want to give them a similar experience, you can now leverage Weblearning, with this Study Mode Quiz plugin (as well as the recently released Flash Card Plugin which mimics Test Pro Developer’s Flashcard mode). The Weblearning LMS is a powerful, budget-friendly, easy-to-use Online E-Learning System for authoring, managing, and tracking online learning presentations and tests (including your E-Learning Lessons). To try it FREE, go to the Weblearning E-Learning System Sign-up Form. A few weeks ago, we released the Weblearning Enterprise Gold Edition, our first LMS offering that includes the ability to use SCORM content. The Weblearning Enterprise Gold Edition is essentially a Weblearning LMS license for your own server. This week, we have released two new Weblearning Annual Hosted plans that include SCORM – the Weblearning Ultimate Plan, and Weblearning Server Plan (the Server plan includes a dedicated managed server for high volume e-learning delivery). You can check out the plans (along with our new plans that don’t include SCORM) on our Weblearning Packages page. For those of you that don’t know what SCORM is, I will write up a few articles in the near future explaining how it can benefit you and your Weblearning system, but for now, you can read about SCORM here. Each time we release an update to Weblearning, we usually include a handful of new features. A typical update will include a dozen or less items. In this case, there are actually almost 50 Additions, Changes and Bug Fixes in Weblearning version 9.62, which makes it a very large update. For this article, I had to choose a few of the new features that are likely to be ones that most of you would want to be aware of and/or you are likely to use. All of these are actual feature requests we have received, so I know some of you will be excited to hear about them. If you are interested in learning about the SCORM compatibility, you can read about that here. 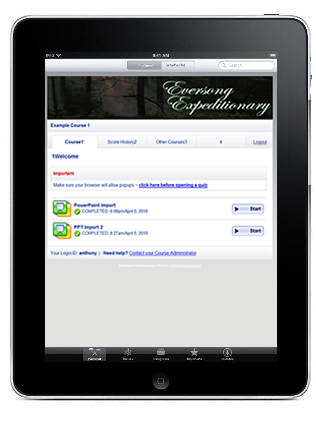 We have been working very hard this year to bring you SCORM support in our Weblearning LMS. Finally, I am happy to report that it is ready, and is now available in our newest edition of Weblearning Enterprise – the Weblearning Enterprise Gold Edition. Although the new Weblearning Enterprise Gold Edition LMS is slightly more expensive than our standard Weblearning Enterprise Edition LMS, it is still thousands (actually tens of thousands) less than other LMS options on the market. We are also working hard to bring you a hosted monthly and hosted annual options that offer SCORM capabilities as well. Our goal is to offer you the best value for a hosted SCORM solution. We have yet to work out the pricing and implementation details on the hosted plans though (more to come on this in the weeks ahead). Below, I have posted some screen shots and comments here to give you a sneak peek at what it looks like and what it can do. Here is a short video that shows a preview of our new Flashcards plug-in for Weblearning LMS – which should be available very soon (a few weeks). Despite all the fancy animations going on, the Flashcards plug-in is pure HTML, so it is mobile-learning compatible (phones, tablets). Things are extremely busy here at Atrixware E-Learning Solutions these days – across all departments. 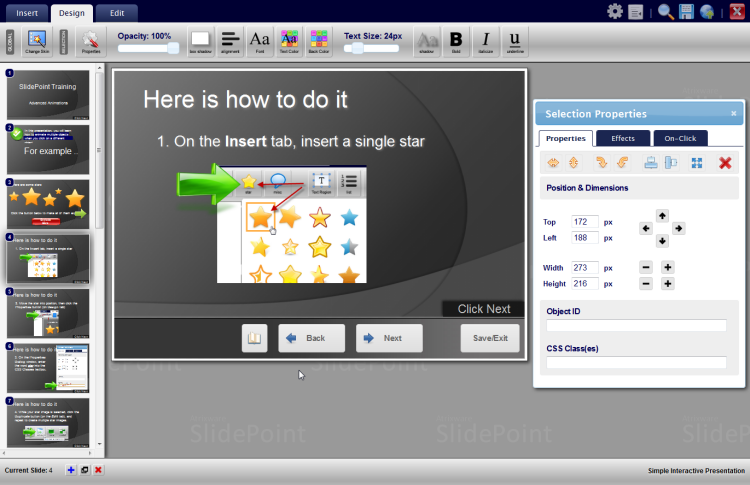 I thought I’d provide you with a sneak peek into the product development happenings (at the risk of being boring for some), and give you some information on some cool Weblearning LMS plug-ins (currently available plug-ins are here) we are readying for 2011 release. This is a new module type that can co-exist with the learning presentations, practice quizzes, and graded quizzes you can already create inside of your Weblearning LMS account. 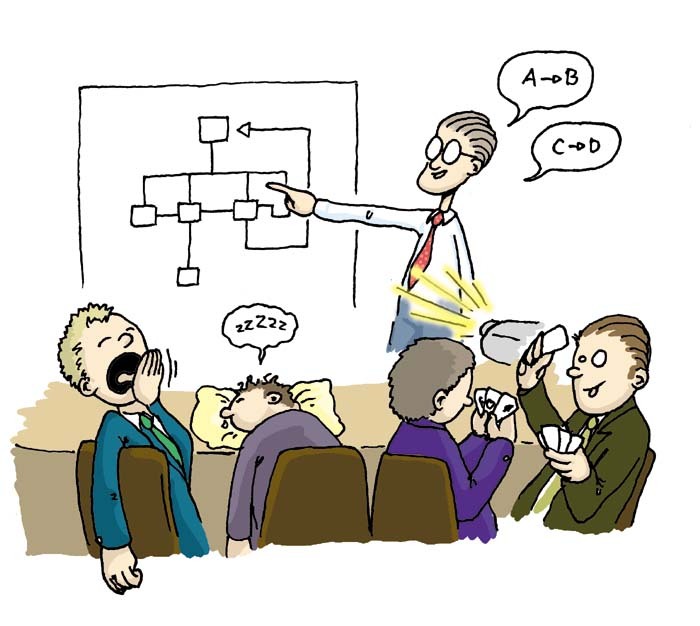 This plug-in will enable you to create online flashcard style learning modules, where users can view questions on the front of a card, and then flip the card to view the answer.